Carrie posted the other week about the joy of making something for yourself and it resonated really stongly with me. There is something very special about making something from scratch and using it after. A little extra zing that runs through each time you take it out of the cupboard and use it, a little extra satisfaction in the using. Do you remember when I talked about an amazing book full of things to make? (If not, it’s here). 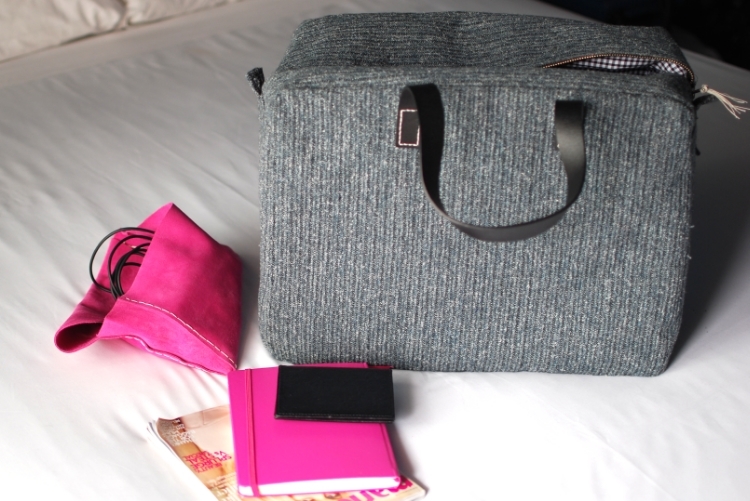 Well I still love it and want to make a thousand things from it, but one project I couldn’t get my mind away from was a wool weekend bag- a boxy, spacious shape, with beautiful fabric and simple leather handles. I get a feeling sometimes, like an itch in my fingers where I want to get sewing and cutting, and this was calling my name. 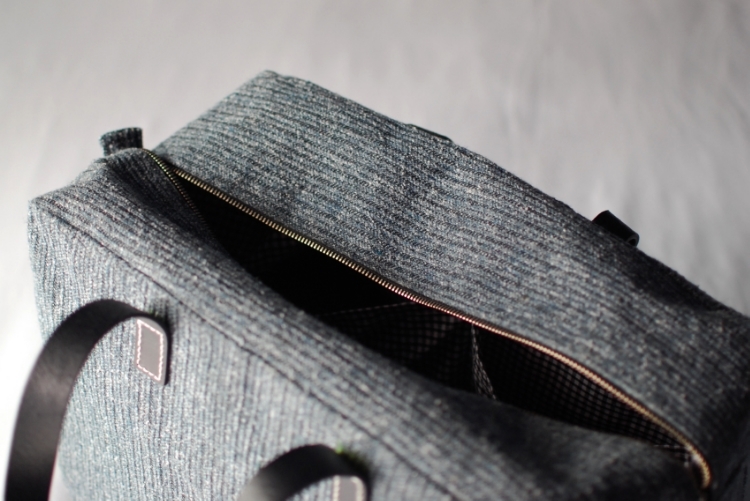 Before Barcelona, I spent evenings at my desk and the result was this: metal zip, black leather handles, grey wool and a gingham check lining. A weekend bag begging to be used for little adventures. I adore it. It came to Barcelona with me, stuffed with 5 days worth of clothes and cameras. Already it is mixed up with memories of our engagement, of sunny days and pretty rooms, and I hope the years to come will add even more. The pleaure of making and using. Now I just need to plan my next adventure with it… Where shall I go?